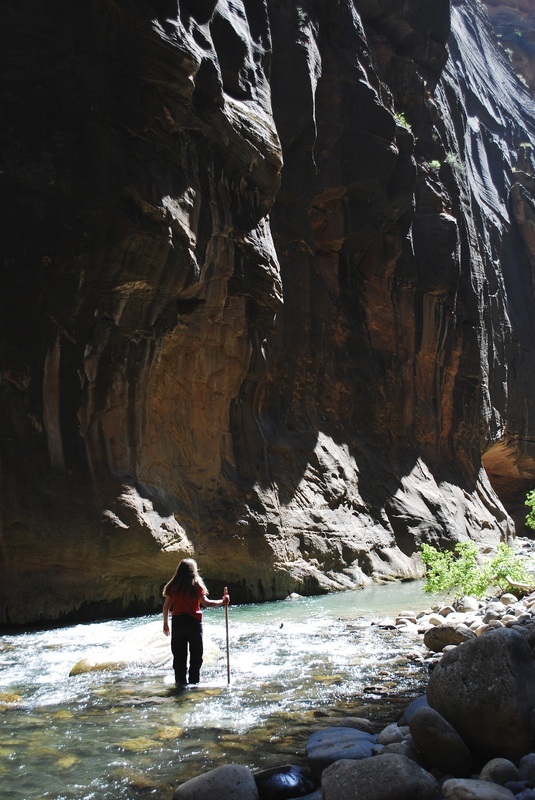 Hiking through the Narrows in Zion. The best way to get in touch with Janine DeBaise? You can read her tweets. Leave a comment on her blog. Look at her photos on instagram.